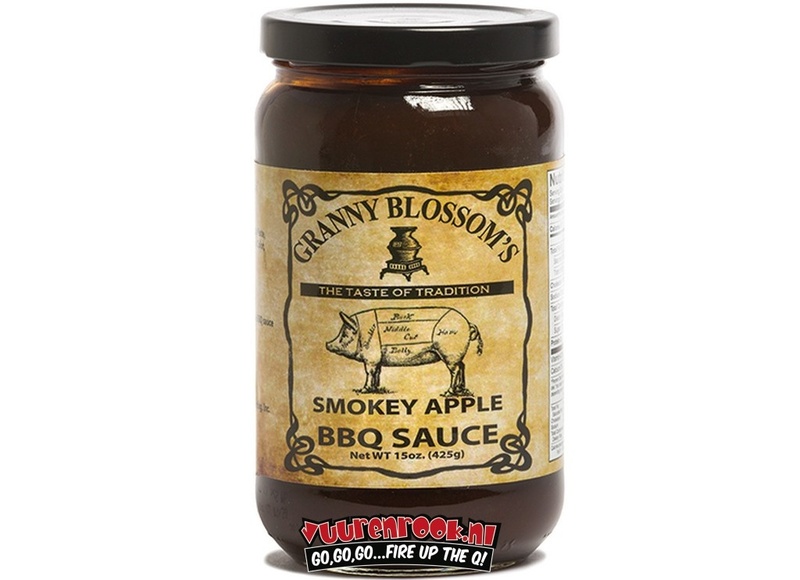 Granny Blossom's Smokey Apple BBQ Sauce is a rich, sticky, spicy barbecue sauce that is certainly a favorite with the whole family. 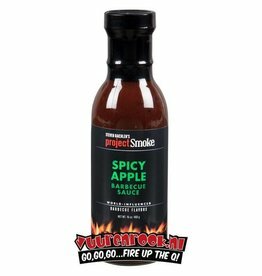 Perfect for BBQ Chicken, to spread ribs or for a slow cooked pulled pork. 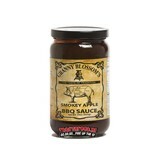 Smokey Apple BBQ Sauce is also the secret ingredient in our holiday meatballs. 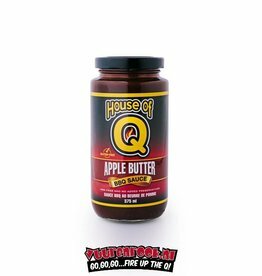 Ingredients: sugar, freshly pressed apple cider, tomato puree, molasses vinegar, natural smoke, caramel color, sea salt, food starch, onion powder, spices, natural guar gum.